A portion of the workweek is dedicated to community volunteer programs. Currently, 2-3 hours per week of volunteer Reiki sessions are offered by Sandy Jefferis at the Vermont Respite House, a residential Hospice facility located in Williston, VT. Additional volunteer hours are dedicated to the Vermont Reiki Association and it’s various volunteer programs. 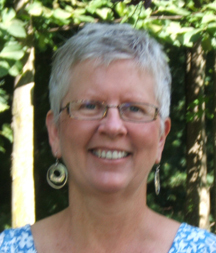 Sandy Jefferis is currently serving as Co-President of the Vermont Reiki Association. I was introduced to Reiki by a friend. I had been having trouble with a frozen shoulder that was refusing to budge, even after months of physical therapy and other western treatments. 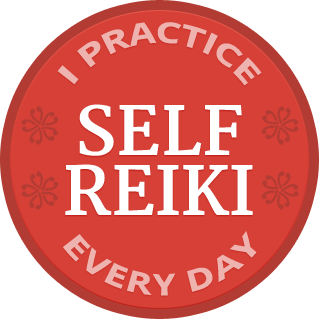 After my first Reiki session, I could move my shoulder several inches higher than previously measured. I continued with the Reiki sessions and my shoulder continued to improve. I didn’t know how or why Reiki worked, but I was convinced it did. A few years after my introduction to Reiki, I decided to learn how to do this remarkable practice and found my first teacher, Sabina Evarts. This was in 2008. I opened my Reiki practice in November 2009 and continued my Reiki education with Mary Goslen. Prior to this my primary business was fiber art, specifically paper sculptures and contemporary baskets. And, prior to my art career, I spent 15 years as a nurse. I worked primarily in labor and delivery, and also was a member of a nursing research group, with several published articles. I serve on the Board of the Vermont Reiki Association. If you have interest in the specific details of my life, you can see my complete CV here.